The world’s oldest motorcycle brand in continuous production, Royal Enfield has just launched the new Classic 350 and Classic 500 for Indian two-wheeler market. These two street cruisers are now being offered with new matte finished colours. 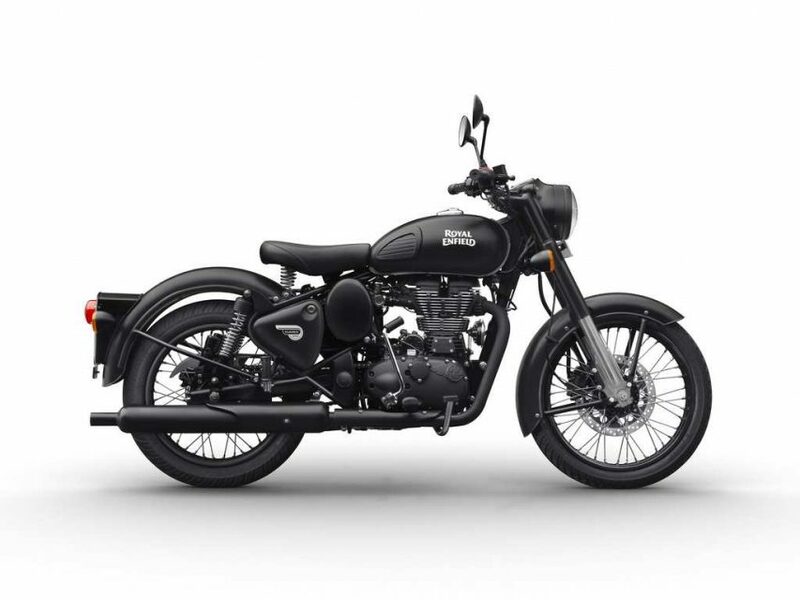 While the Classic 350 will be available at the company’s dealerships across India in a new Gunmetal Grey colour, the Classic 500 gets one new shade that goes by the name Stealth Black. The bookings for these two bikes will commence on 18th September at all Royal Enfield stores across India. The new Classic 350 and Classic 500 have been launched at respective prices of Rs 1,59,677 and Rs 2,05,213 (both prices, on-road, Chennai). Besides the new colours, Royal Enfield has also equipped these two motorcycles with a rear disc brake. This will definitely help in enhancing the braking performance of the two Classics. However, it was earlier expected that the company will introduce an ABS (Anti-Lock Braking System) as well with the updated models but sadly, that did not happened. Regarding the launch of the new colours, Royal Enfield says that it always believes in authenticity. The brand further added that the fresh matte colours are a celebration of the dark and various shades of night. The company is quite confident that the riders will like the new shades. The Royal Enfield Classic range is the best selling for the company, especially in India. First launched back in 2008, the Royal Enfield Classic has been designed on the lines of J2 and it pays tribute to the retro classic motorcycles during the post World War II era. The company’s Classic range even now, comes with the same styling from the 1950s. In other news, Royal Enfield has initiated the deliveries of the BS-IV, fuel injected version of its hyped adventure tourer, the Himalayan. The sale of this motorcycle was suspended earlier as the next emission stage model was awaited.